The Senate President turned was 54 yesterday. In the photo above, he is seen with his wife, family members and friends... 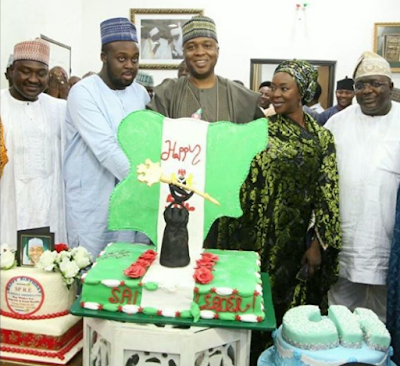 The cutting of the cake took place in Ilorin, Kwara State.